Goldfish Swim School ' West Chester is a state-of-the art swimming facility dedicated to teaching children as early as 4 months how to swim. Goldfish is much more than a swim school. Goldfish prides itself on offering each parent and child a Golden Experience. From the moment you walk in the door, you enter a tropical oasis. Brightly colored walls, tiki cabanas and surfboard benches surrounding our island-style hair drying station border our pool, abuzz with the sounds of kids kicking and hands-on swimming instruction. At the pool deck, kids dive into an always-tropical 90-degree pool. In a class size of no more than 4 children to 1 swim instructor, children master the skills they need to be safe and confident in the water. Beginning as early as 4 months, children progress through a series of perpetual swimming lessons, graduating to higher levels of difficulty as swimming skills are mastered. Goldfish also offers special events like birthday parties, family swim, accelerated Jump Start Clinics and our Goldfish Swim Team, catered to swimmers who have completed the Goldfish Pro Level. 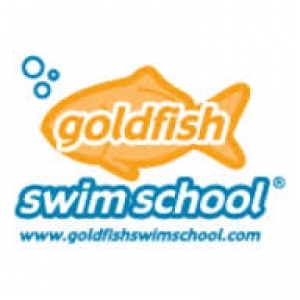 Goldfish Swim School West Chester is proud to help teach children how to swim and be safer in the water. General Manager Jen Deis encourages you to stop by for a tour of our facilities. We guarantee you' ll love it at Goldfish! To learn more, please visit www.goldfishswimschool.com.